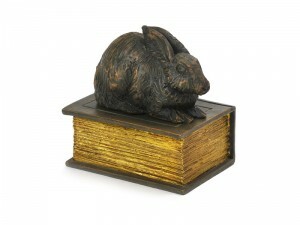 A lovely new addition to our range is our Antique Book style casket with the Rabbit figurine. These attractive and discreet pet ashes caskets are cast in resin and have a lovely aged bronze and gold finish. The ashes are contained within the book.